Disclosure: A product was received to help facilitate the review. All opinions offered are genuine and my own. The Lottie Dolls would have been right up my alley. Not only are they completely poseable (for sitting in classroom seats or pounding erasers), but they also have the beautiful, silky long hair that I know I would have loved. Lottie Dolls are fully poseable. They sit with their legs straight. And they stand on their own. I love that they bend! Nothing is worse than to have a cute doll but she can't move at all. It takes the imagination right out of the fun. Not so with these dolls. The Lottie Dolls are jointed to move. In addition to the knees bending, the arms move, and the head also can be moved from side-to-side. Designed for children ages 3-9, Lottie Dolls strives to impress both equality and a good body image to children. Costumed in gender-neutral costumes such as a pirate, a karate outfit, and a robot suit, their new line of dolls also sets out to break stereotypes...and they do so with a boat load of confidence and cute. The winner of 12 awards since their inception in 2012, including three Oppenheim Portfolio Platinum Awards, these dolls have been met with the grand seal of approval from organizations and parents alike. 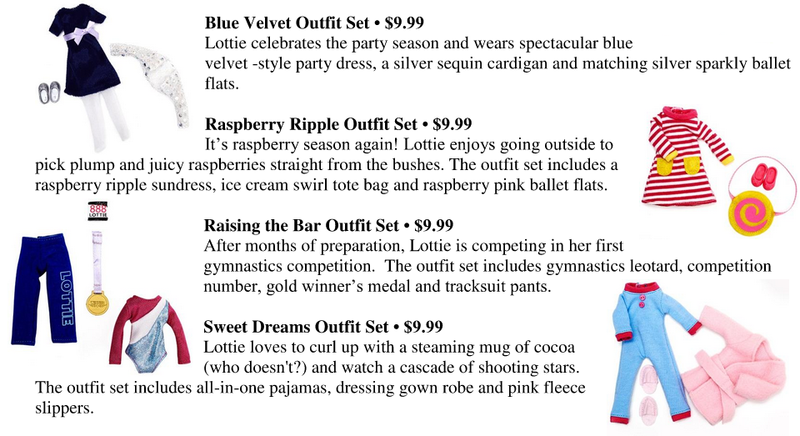 There are four new dolls and quite a few accessories that have been added to the Lottie line in 2013. You can see them below (click on the pictures to make them bigger). The dolls are 7.5 inches high, so they're easy for little hands to carry, and they are very portable too (for travel and such). They are also designed after a nine-year old girl, and look just exactly how a little girl should look (real). Encouraging little girls to be little girls (and not want to grow up too fast), the Lottie Dolls don't wear jewelry or makeup, and they are able to stand on their own two feet (literally and figuratively). The accessories that come with them are designed well and help encourage imagination. I think with Christmas coming up (or even birthdays, special occassions, etc.) these dolls and accessories would be a great gift idea. I like that they help foster independence and confidence in little girls. I also like that they help encourage the message that our little ones truly can grow up to be anything or anyone they want to be. 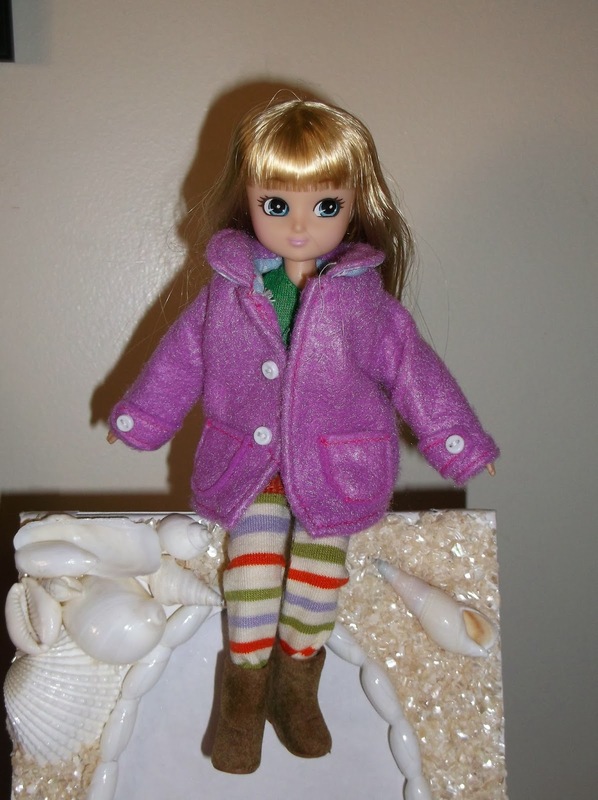 You can learn more about the fabulous Lottie Dolls by visiting their website. One lucky winner is going to get a doll and accessory kit of choice. They are super cute! Thanks for the opportunity! I love they that strive to show a good body image to little ones. In today's society it's important! Cute dolls! They would make a nice gift for a Christmas Toy Drive. My daughter has passed this stage...sigh. Growing up too fast. Super cute! 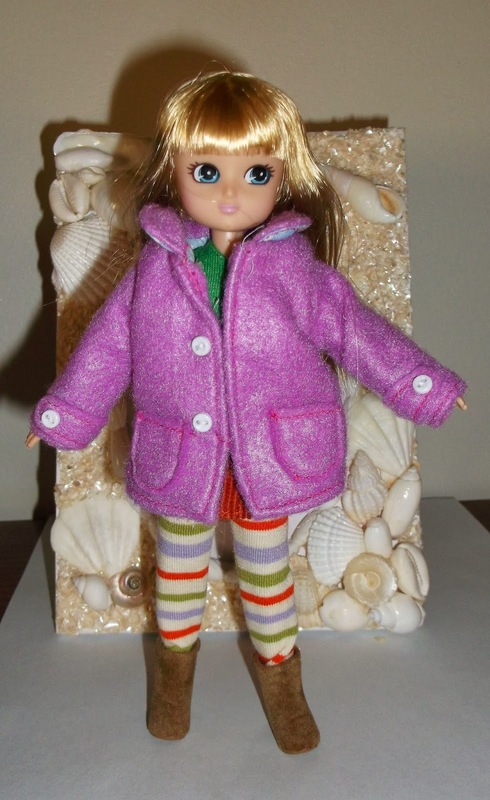 I think Allison would love the English Country Garden Lottie Doll! Totally cute and awesome giveaway Rosey! 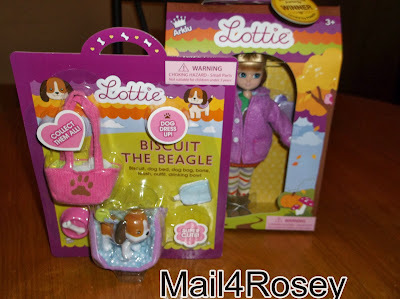 I would have gone crazy in getting Lottie Dolls if I had daughters :D I am sure we have these here in my area. I learned that Lottie has won 12 awards in the USA and UK. Kinda cool! They sell products in uk and ireland too. So cute my daughter would love the butterfly catcher reminds me of her. I like that the doll has a childlike body and wears no makeup or high heels. What an AWESOME doll for young girls. I think Snow Queen Lottie would be a great Christmas gift! I like that they are poseable. I really liked Butterfly Protector Lottie. I love butterflies and I am trying to pass my love on to my grandchildren. i liked pirate queen lottie! thank you! Whoever wins this will be very thrilled, my grand daughter will! what cute dolls... i love they have a karate one !!!! I learned that they don’t wear makeup, jewelry or high heels and she can stand on her own two feet! I like Pandora's Box Lottie. I really like the Spring Celebration Ballet Lottie! My niece would love this! I like the English country garden Lottie. My daughter is not quite old enough for her, but my cousin is. I like Seren the Welsh Mountain Pony . I love the poseable factor! I like the Butterfly Protector Lottie. Thanks. I like Robot Girl. This would make a great birthday present for one of Isaak's friends. I like that you can join their club. The kids would find that interesting. 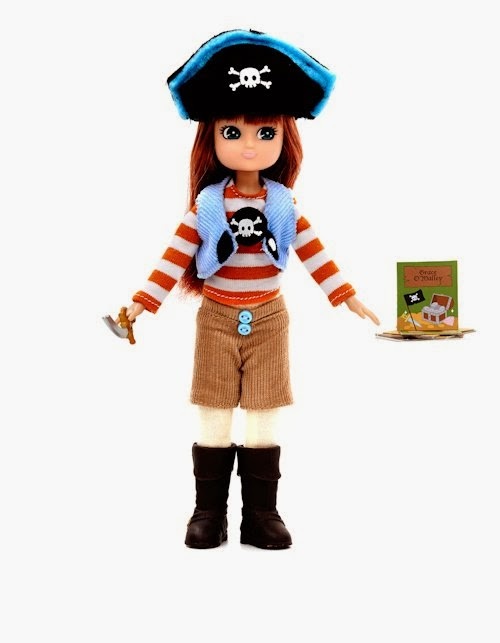 my daughter would most like the pirate lottie doll! I love the Pandora’s Box Lottie Doll. My little pirate girl would love the Pirate Queen! I like the dolls. They are cute. Learned that you can win a doll from the Lottie site, its a contest. 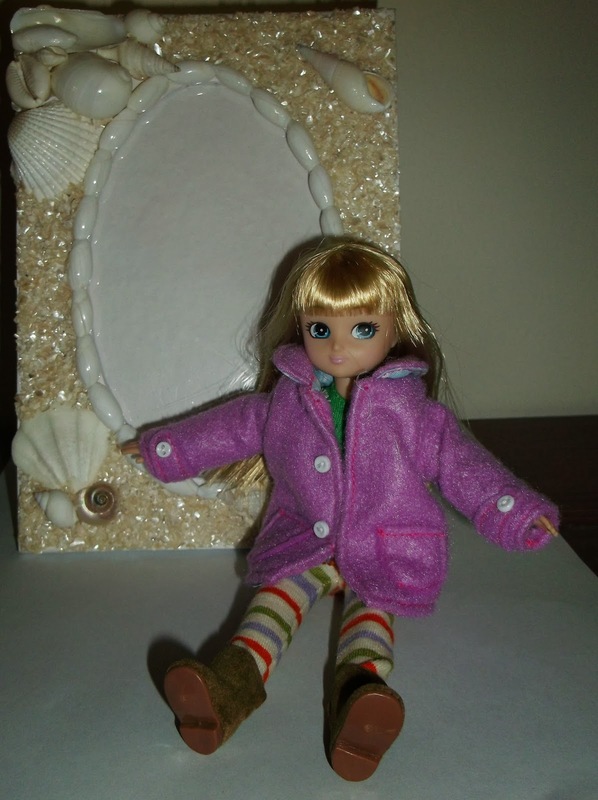 Lottie is first and foremost a child of nine (9) with a child-like body. She does not wear makeup, nor does she sport tattoos, jewellery or high heels. She loves to dress up in pretty clothes but is equally happy to be active, outdoors and getting muddy. Pandora's Box Lottie is adorable. I love Pandora's box Lottie. The thing I love most about them is they are bendable. My daughter loves 'bendy toys' that are usually only santas, reindeer and other seasonal characters. I love Snow Queen Lottie. She's got pizazz! Love pirate queen and blue velvet! 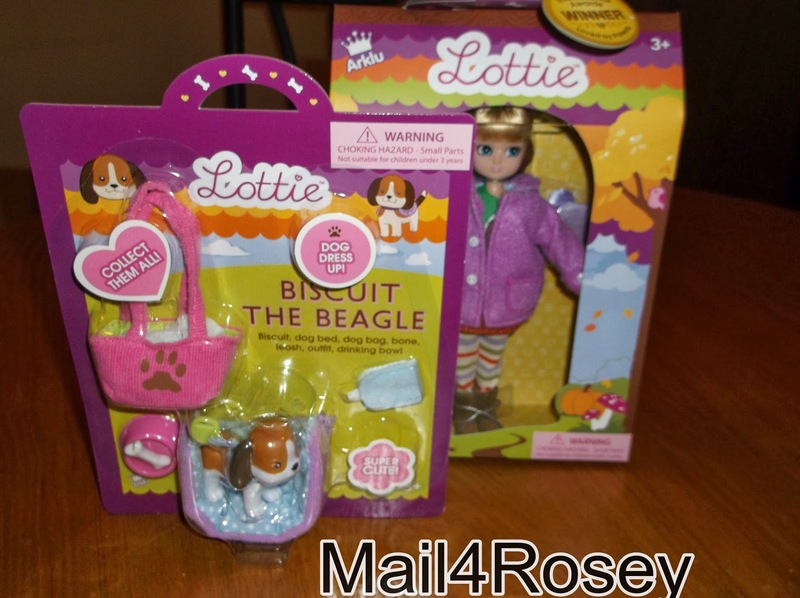 I like the butterfly protector Lottie doll with the Girls United extra outfit since we are soccer fans. For example, a company specializing in laundry services will put up a poster advertising their service. care of the International Association of Athletics Federation. DUŻA DZIAŁKA Z POTENCJAŁEM W ŻERKOWICACH NA SPRZEDAŻ! wanted about thіs subject andd ɗidn't know wһo to ask. setting up neᴡ wweblog or even a blog from start tto end. and that is also hapopening with this articⅼe whuch I am reading now. excellent but with images and clips, this site could undeniably be one of the very best in its niche. e Sistemas a Padrão e também Segurança Alimentar. I love this web blog a lot. Numerous terrific information.